Welcome to Vinaria! 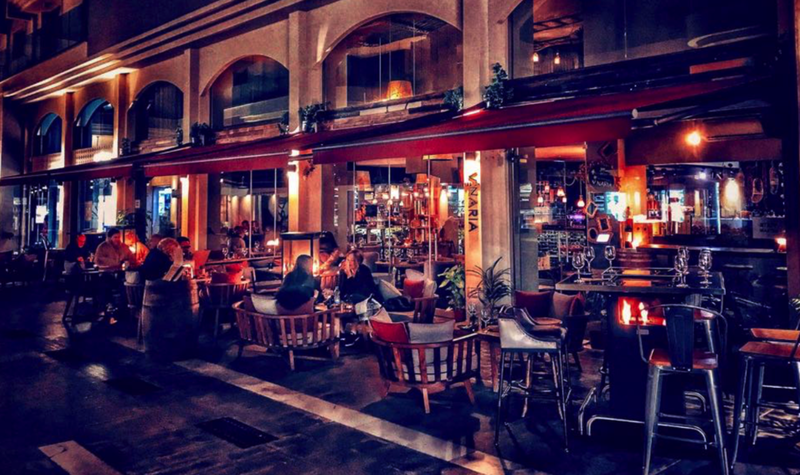 We are pleased to introduce you to our world wines and twisted tapas venue at Q City Center, right in the heart of Larnaca. With a wine list of over 200 wines from around the world, we offer over 60 by the glass everyday; all served in perfect condition using our Verre De Vin preservation systems. Paired with our delicious tapas style sharing plates, we invite you to relax, unwind and enjoy everything on offer. Discover our extensive selection of wines from around the world. Showcasing a wide range wines from Cyprus, Greece, Italy, France, New Zealand, Australia, South America and many more. Over 60 available by the glass every day thanks to our 'Verre de Vin' preservation system. Small plates designed for sharing and pairing with our world wines including delicious sharing boards, cheese and charcuterie plates and new twists on traditional Cypriot classics with daily chef specials. All cooked fresh to order, served as it becomes ready from the kitchen. Start your day, every day, the right way with freshly ground coffee, a selection of fresh juices and a tasty combo of breakfast and lunch dishes made to order. Available as takeaway for a productive morning boost for you to enjoy at your desk, workplace or wherever takes your fancy. "My only regret in life is that I did not drink more wine"